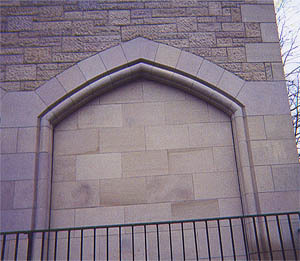 Above: Example bringing ashlar, rubble & moulded work together. Above: Extension onto existing house with same feature stone round windows and pediment to match existing for Donnie McLeod of DM Design. 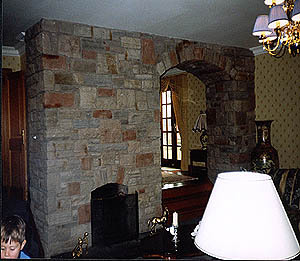 Left: Internal feature fireplace with vaulted arch to the design of the client Alistair Snowie of Snowie Ltd. There is an abundance of stone types. 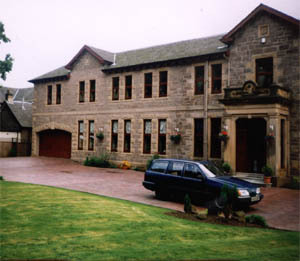 Alba Masonry is able to source and supply all types of stone to suit the needs of the client. 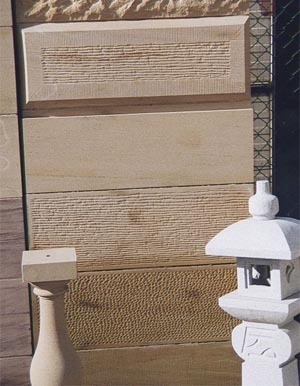 Right: Examples of various surface finishes which can be applied to any building stone.